Buffet breakfasts are served on weekdays from 6:30 AM to 9:30 AM and on weekends from 7 AM to 10:30 AM for a fee. Hotel Le Belvédère is located at a high altitude in Annecy, offering stunning views of Lake Annecy, just a 5-minute drive from the town centre. Surrounded by nature and tranquility, it offers rooms with air-conditioning and contemporary decor. Each room and suite is equipped with free Wi-Fi, a flat-screen TV and a private bathroom. Some rooms have a balcony and lake views. Guests can enjoy views of the Lake on the hotel's panoramic terrace. A stay at Hôtel ibis Annecy Centre Vieille Ville places you in the heart of Annecy, within a 10-minute walk of Lake Annecy and Musee-Chateau. This hotel is 0.7 mi (1.2 km) from Bonlieu Scène Nationale Annecy and 0.9 mi (1.5 km) from Centre Commercial Courier. The Adagio Annecy Centre hotel is a 4-star holiday residence located in the heart of the city, a 10-minute walk from the lake and the old town, and a short walk from the train station. 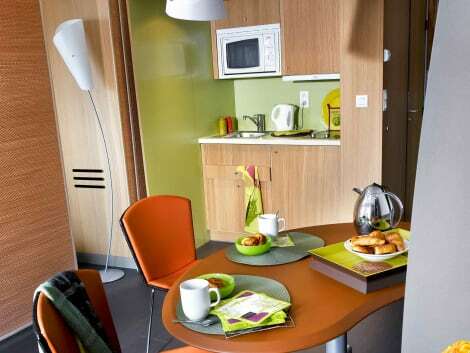 The 104 air-conditioned apartments range from 2-person studios to 3-room apartments for 6 people, making this Aparthotel the ideal place to stay for business travel or long weekends at the foot of the Alps. There is also a fitness room with sauna and a private car park. Come and see the Venice of the Alps at Novotel Annecy Centre Atria. 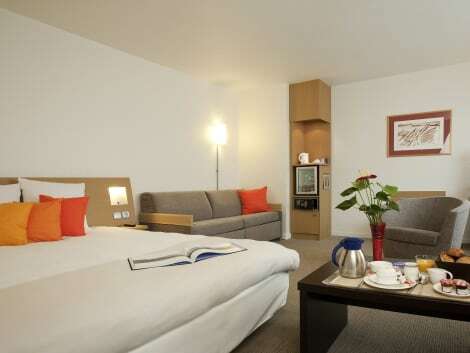 Whether as a family or a couple, relax in the hotel's spacious and comfortable rooms. For seminars, there are 10 conference rooms and a 150-seat amphitheater. Please note that from November 2018 until the end of April 2019, our hotel will be undergoing full renovations. We're available to answer any questions. Make yourself at home in one of the 8 individually decorated guestrooms, featuring kitchens with full-sized refrigerators/freezers and ovens. Your Select Comfort bed comes with Egyptian cotton sheets. 110-cm LED televisions and video-game consoles are provided, while complimentary wireless Internet access keeps you connected. Conveniences include microwaves and coffee/tea makers, and you can also request cribs/infant beds (complimentary). With a stay at Les Tresoms Lake and Spa Resort , you'll be centrally located in Annecy, within a 5-minute drive of Lake Annecy and Jardins de I'Europe. This 4-star hotel is 0.9 mi (1.4 km) from Annecy Castle and 0.9 mi (1.4 km) from Musee-Chateau. Pamper yourself with a visit to the spa, which offers massages, body treatments, and facials. Gambling sorts can try their luck at the casino, while others may prefer a health club or an indoor pool. This Edwardian hotel also features complimentary wireless Internet access, a hair salon, and wedding services. Getting to nearby attractions is a breeze with the area shuttle (surcharge). At Hotel Kyriad Annecy Sud - Cran Gevrier, enjoy a satisfying meal at the restaurant. Wrap up your day with a drink at the bar/lounge. Buffet breakfasts are available daily for a fee. Make yourself at home in one of the 133 air-conditioned rooms featuring LCD televisions. Complimentary wireless Internet access keeps you connected, and satellite programming is available for your entertainment. Bathrooms have showers and hair dryers. Conveniences include safes and desks, and housekeeping is provided daily. lastminute.com has a fantastic range of hotels in Annecy, with everything from cheap hotels to luxurious five star accommodation available. 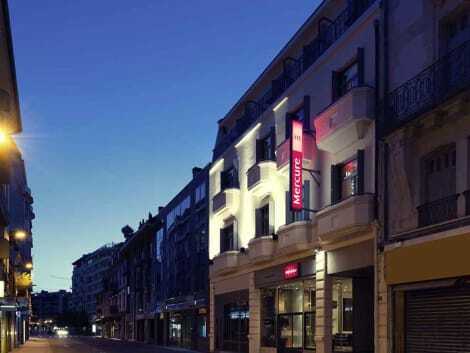 We like to live up to our last minute name so remember you can book any one of our excellent Annecy hotels up until midnight and stay the same night.